Key Difference: The Navy Seals and the Delta Force are two different types of special operation forces that are part of the US Armed Forces. The main difference between the two is that the Navy Seals is a special operations force of the US Navy, whereas the Delta Force is a special operations force of the US Army. The Navy Seals and the Delta Force are two different types of special operation forces that are part of the US Armed Forces. Special Forces or Special Operations Forces are military units that are highly trained to perform unconventional, often high-risk missions. These missions may include airborne operations, counter-Insurgency, counter-terrorism, covert ops, direct action, hostage rescue, High Value Targets/manhunting, intelligence operations, mobility operations, and unconventional warfare. The Navy Seals are the principal special operations force of the US Navy. It is a part of the Naval Special Warfare Command and United States Special Operations Command. 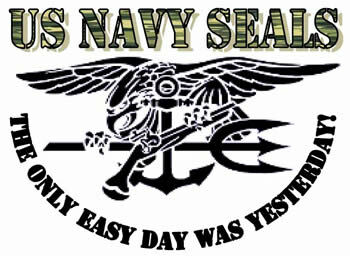 The SEALs in fact stand for The United States Navy's Sea, Air, Land Teams. The main function of the SEALs is to conduct small-unit maritime military operations. These operations mainly originate from, and return to a river, ocean, swamp, delta or coastline, where the normal units of the Navy would be limited. In such places, the SEALs can go in, achieve the objective and get out much faster than it would be possible for the Navy’s ships and submarines. As their name suggest, the Navy's Sea, Air, Land Teams are trained to operate in all environments including land, air and sea. They are also trained to operate in climate extremes of scorching desert, freezing Arctic, and humid jungle. The missions and objectives of SEALs include pursuit of elusive, dangerous and high-priority terrorist targets, covert reconnaissance of landing beaches and coastal defenses, hydrographic reconnaissance and underwater demolition of obstacles prior to any amphibious landing, hostage rescue, guerrilla warfare in enemy territory, gathering information on enemy resources and troop movements, VIP extraction, etc. The Delta Force is also a type of special operations force. However, it is affiliated with the US Army. It is a U.S. Army component of Joint Special Operations Command. 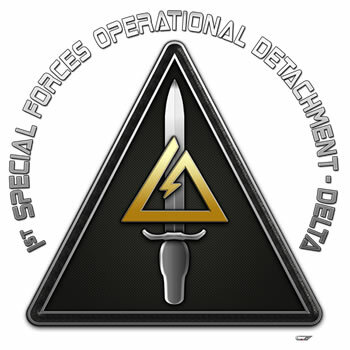 Delta Force is officially known as 1st Special Forces Operational Detachment-Delta (1st SFOD-D). Along with the Naval Special Warfare Development Group, the Delta Force is the US military’s primary counter-terrorism unit. The main functions of the Delta Force include counter-terrorism, direct action, and national intervention operations. They are an extremely versatile group that is required to conduct various types of clandestine missions, including but not limited to hostage rescues and raids. As a counter-terrorism unit, they often work with the CIA’s highly secretive Special Activities Division (SAD) and more specifically its elite Special Operations Group (SOG) on missions. In fact, majority of the operations assigned to Delta Force are classified and may never be known to the public due to the nature of the missions and their importance to US military objectives. Tier One Special Operations Force including counter-terrorism, direct action, and national intervention operations, as well as various other types of clandestine missions, including, but not limited to, hostage rescues and raids. Entering training to become a Navy SEAL is voluntary, and officers and enlisted men train side-by-side. To volunteer, SEAL candidates must be male, between 17 and 29 years old, and US citizens in the U.S. Navy. Academically, all applicants must have the equivalent of a high school education, have a composite score of at least 220 on the ASVAB and be proficient in all aspects of the English language. Medically, all potential applicants must have at least 20/75 vision, correctable to 20/20, be able to pass the SEAL Physical Screening Test and have no recent history of drug abuse. Applicants must have "good moral character" as determined by his history of criminal convictions and civil citations. Most recruits come from the Special Forces Groups, with a sizable but significantly smaller portion are from the 75th Ranger Regiment, though a few have come from other units of the army. Applicants must be male, in the ranks of E-4 through E-8, have at least two and a half years of service remaining in their enlistment, be 21 years or older, and score high enough on the Armed Services Vocational Aptitude Battery test to attend a briefing to be considered for admission. The selection course includes tests for physical aptitude, a series of land navigation courses, and numerous psychological exams. If an individual is selected for Delta, he undergoes an intense 6-month Operator Training Course (OTC), to learn counter-terrorism and counter-intelligence techniques, in which the individual maintains little contact with friends and family for the duration. SEAL training is extremely rigorous, having a reputation as some of the toughest in the world. The dropout rate for SEAL training is sometimes over 90 percent. Combined skills aimed at hostage and counter-terrorist operations with assault and sniper troops working together. Espionage-related skills, such as dead drops, brief encounters, pickups, load and unload signals, danger and safe signals, surveillance and counter-surveillance. Advanced driving course -learning how to use a vehicle or many vehicles as defensive and offensive weapons. Techniques for VIP and diplomatic protection developed by the Secret Service and DSS.